I didn’t publish a post for Christmas, and a few of you have asked me about that. It’s not that I’m less aware of the Lord at Christmas. If anything, I’m more aware, and somehow putting up a message in this place seems awkward, seems disingenuous given my rhetoric which to me makes things plain but to others may be construed as rotten. But maybe I’m wrong. Maybe it doesn’t matter, and it’s possible to be very candid and still convey my heart for others as a follower of Christ. Make that flawed follower of Christ. Then again, the verse that keeps beating in my head is, “…whatever is not from faith is sin.” I hope that explains it. 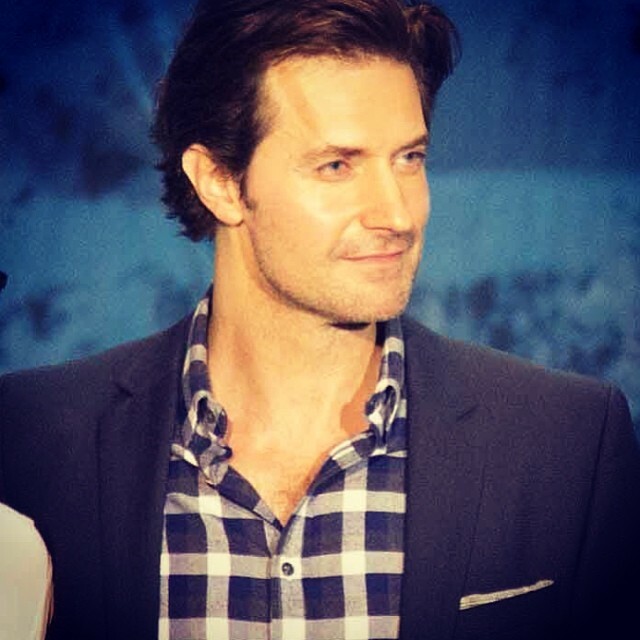 Richard Armitage’s annual Christmas message just appeared at RichardArmitageOnline. Well I just wanted to come on line and wish everyone a Happy Christmas (Turkey Day or Holiday, depending on your preference) it’s been another wonderful year, which has been full of hard work, fun and surprises. Thank you for your continuing support of my work, I hope you never underestimate what that means to me personally. Seeing so many at the LA premier (sorry about the un fan-friendly red carpet) Berlin, London, Madrid is really the highlight of the year. I am very proud to have such a dedicated community of ‘well wishers’ (better word than fans…right?) Proud because of the dignity and decency with which you communicate with each other and document your ideas. It’s always illuminated with positivity and support for each other, unlikely friendships forged through a common interest. That makes me proud, and brings me to my real reason for the message. To say a huge thank you to Annette Gill, who has worked so hard on her web pages, doing exactly what I just described in a very elegant way. I think she is truly a wonderful journalist and archivist and I would like to thank her personally for all the time she spent creating and updating the site. I wanted to wish you love and happiness for 2014, thank you for the generous gifts and the donations to the ‘Just Giving’ pages I think our totals are looking very healthy. This quote isn’t meant to be maudlin, because I actually find it uplifting, but it expresses what I mean. It’s Sonya from Chekhov’s Uncle Vanya. What can we do? We must live out our lives….we shall live, Uncle Vanya. We shall live all through the endless procession of days ahead of us, and through the long evenings. We shall bear patiently the burdens that fate imposes on us. We shall work without rest for others, both now and when we are old. And when our final hour comes, we shall meet it humbly…. we shall enter on a bright and beautiful life. We shall rejoice… A tender smile — and — we shall rest. We shall hear the angels. We shall see heaven shining like a jewel. We shall see evil and all our pain disappear in the great pity that shall enfold the world. Our life will be as peaceful and gentle and sweet as a caress. I have faith…we shall rest. I hate to admit I’m always surprised you still give messages to the fans. That is not meant as a slur on your character but rather an acknowledgment that you’re a busy man. So thank you for the message and especially one that seeks to give great comfort, and for this person does give comfort. Yes, I’m still putting the fake fan letter tag on these ’cause I don’t have a better tag at the moment. I’ll have to think of one for the future. 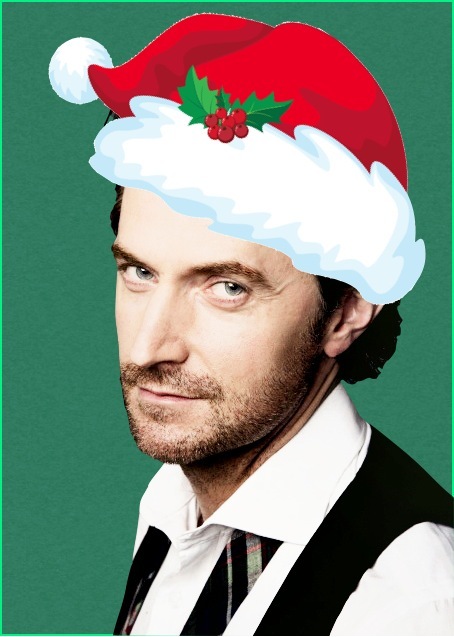 Christmas is almost on us, and maybe you want to buy some Armitage memorabilia for a fellow fan? Oh you don’t want to stop there? You want to buy something for yourself as well? I’ve got the place for you, and you don’t even have to leave the house. What could be better than that? No, forget I asked that. I can see you have visions of Richard Armitage in your living room. I wish I could help you with that, but I haven’t been able to do that for myself and doubt I can do it for you. But there is something that might soothe your need for things Armitage AND help with some good causes at the same time. And did I mention you don’t have to leave the house? Okay, yeah, I did, but it bears repeating. Especially to someone like me who hates shopping. Agzy is having a silent auction of things Armitage to benefit Richard Armitage’s Just Giving pages. It’s already started, and you can check out the details here. And when I said you don’t have to leave the house, I meant you don’t even have to pay the cost of leaving the house. If you win a bid, the shipping costs will be covered by those who donated the items. As someone who has shipped items all over the world, I can tell you this is a huge perk of the auction. But stop reading this and go over and check it out! Last night I went to a Christmas Eve service at the church house, and it was one of the best I’ve ever attended. It wasn’t that there was beautiful pomp to embrace. There was no pomp. It was people coming through the doors as themselves and feeling they were meeting friends because they were! Oh, it was a motley crew to be sure, but all the more special because of it. God doesn’t make cookie cutters. When I was a kid, I had visions of church being like this and especially a place where the brokenhearted could come and know there was peace, joy and love because God was there. I saw it last night in a way that made even my dreams pale. All of this has me wondering once again what others think about the phrase “Merry Christmas.” Of course it can mean the fun of the holiday, or the kindness that’s often shown in lavish amounts more than the rest of the year, or it’s an amenity. But too often it’s associated with something stilted and dare I say, religious. I heard Richard Armitage say he’s not religious. I’m not either, and I mean that in the sense I rarely feel compelled to observe rituals in my relationship with the Lord. His magnificence is simply there and He’s not going away. Hallelujah! It makes me want to share it and say Merry Christmas everyday! If you have trouble watching this video from my site, click on the YouTube icon in the lower right corner to watch it on YT. NOTE: for some reason unknown to me, the singer of this song followed me on Twitter this week. Maybe she’s a Richard Armitage fan. Whatever the case, I chuckled when I saw her twitter come up. Maybe she’ll figure out what a crazy place this is and quit following me (may have already), but I’m glad she’s done it long enough to remind me of the greatest gift I’ve received or ever will. 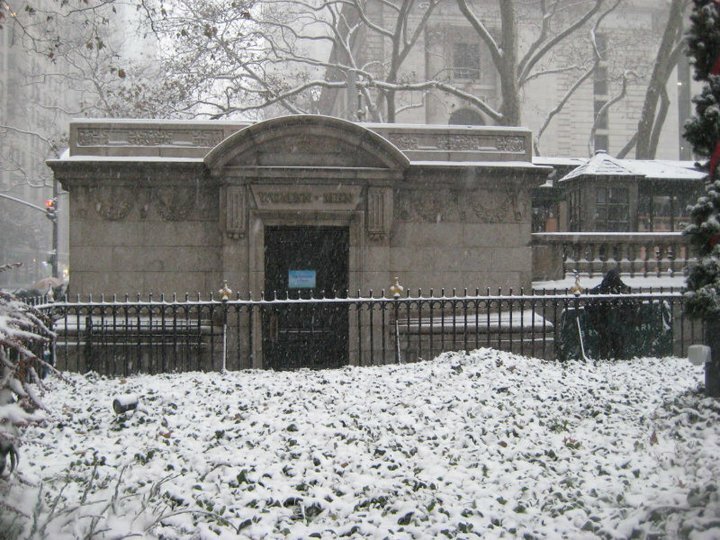 For the uninitiated all of this is in Bryant Park, which is behind the New York Public Library in Manhattan. And it’s one of my absolute favorite places in the City. I told TheQueen she has to return in good weather. More about the trip in a later post. For now, I hope you all have a wonderful evening! …to all of you, and to those who are sick or down or who cannot make sense of what this world is all about, the Lord came to us and still does today. My thankfulness for that is beyond words. I’ll be back with snark sometime soon. It hasn’t escaped my notice that these messages are like events which become fixtures in time usually throwing my mundane life into sharp relief such as “I was munching popcorn and watching Monday Night Football when news of Lennon’s death…” Okay, so my example is morbid. What do you expect in the middle of the night? By the way, I was wiping the mouth of a puking child when the message came, and now I’m going back to bed and maybe sleep late tomorrow, er, later today. P.S. The message was lovely, and I may actually break down and request an autographed picture from you. Yes, so easy to say at this time of night. If you haven’t seen it, the message is on RichardArmitagetOnline.Com, and give Annette some love for being so consistent in relaying messages.